AFRICANGLOBE – Britain’s most powerful Black people will be honoured at a prestigious black tie event at the Lord Mayor of London’s residence this evening. The star-studded Powerlist recognises 100 of the most influential people of African and African Caribbean heritage, chosen by a panel of judges on their ability to “change lives and alter events”. The Home Secretary Theresa May is to deliver a keynote speech at tonight’s ceremony. 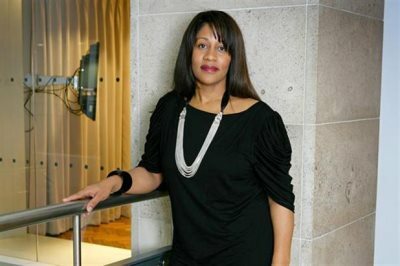 Top of the list was powerhouse Karen Blackett OBE, chief executive of leading media company MediaCom. The businesswoman – who controls a budget of £1.2bn and a staff in excess of 800 – beat the likes of Oscar-winning director Steve McQueen, Hollywood star Idris Elba and rising Labour star Chuka Ummuna, the shadow business secretary. Blackett said: “I feel very humbled to be recognised alongside such prestigious names as Steve McQueen, Chuka Umunna and Idris Elba. It is an honour and a privilege that makes me pinch myself at times. The event will also serve as a fundraiser for the Powerlist Foundation, which is to open an A-level college in central London in September 2015. The celebration of Black talent follows Vince Cable’s drive to improve board-level diversity in the private sector, after a study revealed that two thirds of companies had no full-time minority executive directors. The business secretary has reportedly set the ambitious target of ensuring one in five directors of FTSE 100 companies will come from an ethnic minority within five years. Powerful Media’s Michael Eboda said the list is part of his continuing drive to improve that diversity. “In this day and age there is no excuse to not have adequate representation of diversity on FTSE 100 Boards. “Executive search firms should be doing a much better job, but it is up to the companies themselves to ensure that this happens,” he added. One of the aims of the Powerlist is to provide role models for the upcoming generation. The initiative was established in 2007 by Eboda, a former editor of the now-defunct New Nation newspaper, who is the chief executive of the Powerful Media Publishing company. Previous Powerlist number ones include author and Children’s Laureate, Malorie Blackman OBE (2014); architect David Adjaye OBE (2013); chief executive of Prudential Tidjane Thiam and Baroness Patricia Scotland who held top spot in 2009 and 2010. Olisa, is the founder and chairman of Restoration Partners, a boutique technology merchant bank. He is also the non-executive Chairman of Outsourcery Plc, non-executive director of Thomson Reuters and chair of the Powerlist Foundation. A Nottingham native, born to a Nigerian mother and British father, he began his career nearly 30 years ago at IBM after winning a scholarship while an undergraduate at Cambridge University. Grant is the Conservative MP for Maidstone and The Weald and Minister of Sport, Tourism and Equalities. The mother-of-two was born in London to a Nigerian father and British mother and was brought up on the Raffles council estate in Carlisle. A former solicitor, she was elected as an MP in 2010, and was later appointed Joint Parliamentary Under-Secretary of State at the Ministry of Justice and for Women’s and Equalities issues in David Cameron’s ministerial reshuffles. Okoro is the Global General Council at HSBC Global Asset Management. Born in London, she was one of The Lawyer magazine’s Hot 100 lawyers in 2005. In 2009 she was a shortlisted nominee for In-house Lawyer of the Year at The Lawyer Awards and in 2010 she was a shortlisted nominee for Lawyer of the Year at the Legal Business Awards. Okoro mentors young aspiring lawyers by providing bespoke one-off, one-to-one mentoring. She is also an Ambassador for the Law Society’s Diversity Access Scheme. The Academy and Oscar award-winning artist and director was born in Ealing to Trinidadian and Grenadian parents. He studied painting at London’s Chelsea College and film at Goldsmiths College. The father-of-two is known for his films, Hunger, Shame and critically acclaimed drama 12 Years a Slave. Matthew Ryder QC is a barrister at Matrix Chambers in London. He specialises in complex crime and its interplay with civil law, including judicial review, police law and claims under the Human Rights Act. A top practitioner in his field, the leading law directories have described Matthew as “an incredible all-rounder”. White is the Second Permanent Secretary of the Treasury and the most senior female civil servant in the Treasury. In 2011, she led a review into the Treasury’s handling of the banking crisis. She previously worked at the World Bank, the Department for International Development and the No 10 Policy Unit – as well as the British Embassy in Washington. Son of Jamaican migrants, the comedian, actor, writer, television presenter, and comedian is best known for co-founding charity Comic Relief and presenting various television programs, including The Magicians for BBC One. Recently the father-of-one has been campaigning for media diversity. Elba is an award-winning British actor and Hollywood star, known for his roles in The Wire, Luther, Thor and Mandela: Long Walk to Freedom. Born in Hackney to Sierra Leonean and Ghanaian parents, he began auditioning for television parts in his early twenties. His breakthrough role came in 2002 when he landed a starring role on the US TV show The Wire. Joseph is the director of Search Advertising at Google and is responsible for driving advertising revenues and defining regional product requirements for Northern and Central Europe. He was previously Managing Director of Google Enterprise for Europe, Middle East and Africa and has also worked in the mobile, display and YouTube businesses. In January 2012, he was appointed chair of equality campaigning charity, Race for Opportunity. Mercedes, Formula 1 driver Lewis Hamilton was born in Stevenage to parents of Grenadian descent. He started go-kart racing at eight and by the age of ten he had won his first British Karting Championship. In 1998 he became the youngest driver ever contracted to a Formula One team. Since then, he has enjoyed a number of big victories, including wining the Formula One final race in Brazil in 2008.